The translation of it means “Old Clothes”, I know not a very appetizing name. But, I can assure you that it is one of the best Cuban dishes I have ever eaten. And I must admit it was better than my mom’s. She makes it in a pressure cooker which I preferred not to use. 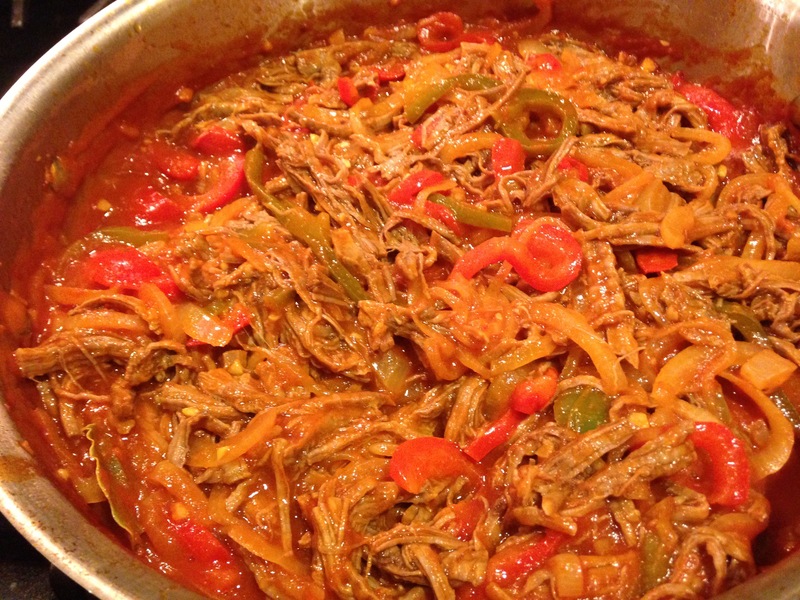 So I made it using a recipe from Cuban Chicks can Cook by Ana Quincoces Rodriquez. Though easy to make it does take a few hours to cook so you have to plan accordingly. In a large pot, bring the water, salt and peppercorns to a boil. Add the steak and reduce the heat to low. Cover and cook till the meat is tender for about 2 hours. In separate pan heat the olive oil over medium heat. 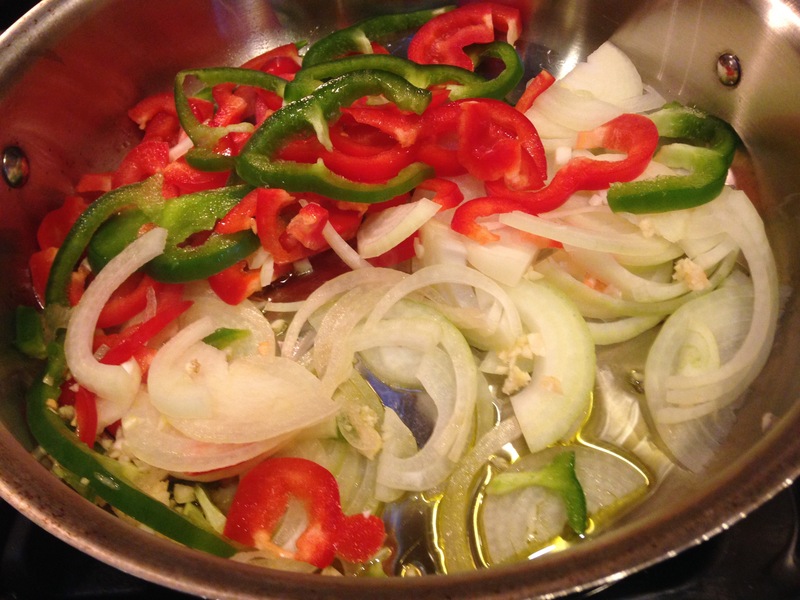 Add the garlic, onions, and pepper slices and cook for about 10 minutes. Add the tomato sauce and bring to a boil. Add the wine and continue boiling for 5 minutes. 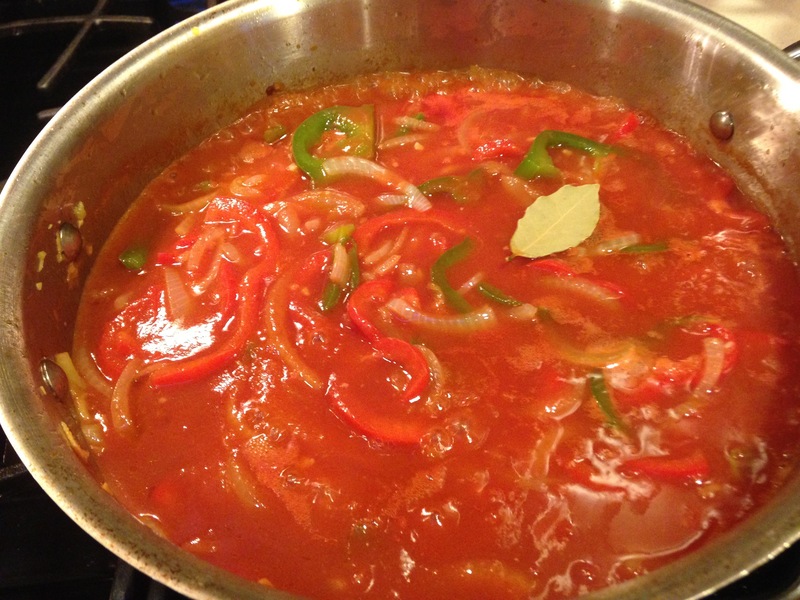 Reduce the heat to low and simmer or another 20 minutes. 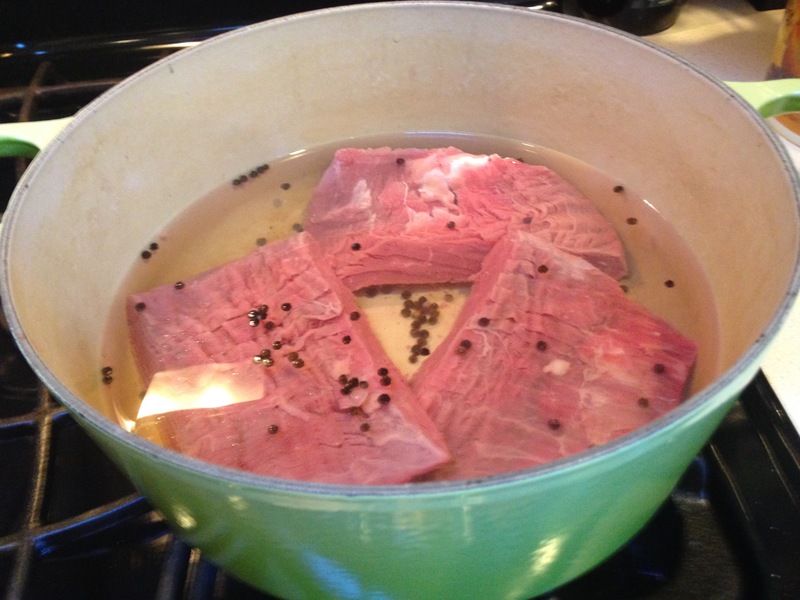 Once the flank steak is tender take it out of the water and let cool. 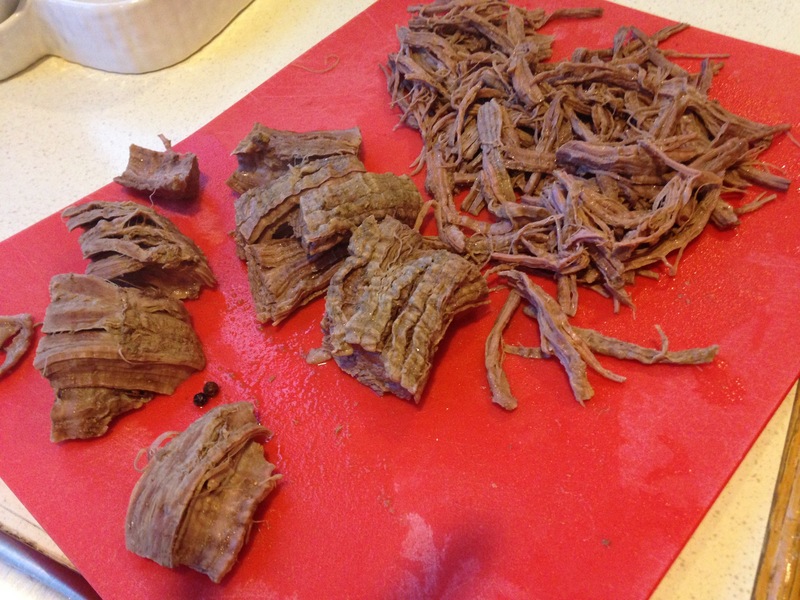 Shred the beef by hand into long strips. It should come apart easily. Season the meat with salt, pepper and a squeeze of lime(optional) and add to the tomato sauce. Stir to coat the meat. Cook over low medium heat for about 20 to 30 minutes to allow the flavors to meld together. Serve over white rice. Here in Brazil we have a dish with the same name (Roupa Velha), but it looks different. The Cuban version of it seems tasty!